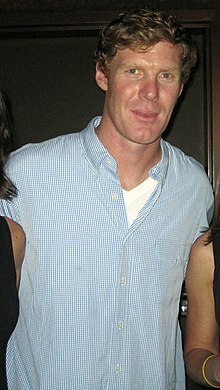 Alexi Lalas (born 1 June 1970) is a former American soccer player. He has played for United States national team. ↑ Strack-Zimmermann, Benjamin. "Alexi Lalas". www.national-football-teams.com. ↑ "Alexi Lalas - International Appearances". www.rsssf.com. This page was last changed on 13 February 2019, at 21:28.